Even though my husband’s least favorite food is leafy green salads it does not stop me from trying to get them into his diet as much as I possibly can. Although his list is limited, the two “acceptable” types of salads that he will eat include classic Caesar with romaine, drenched in dressing or a spinach and fruit combo with a sweet Brianna’s dressing. 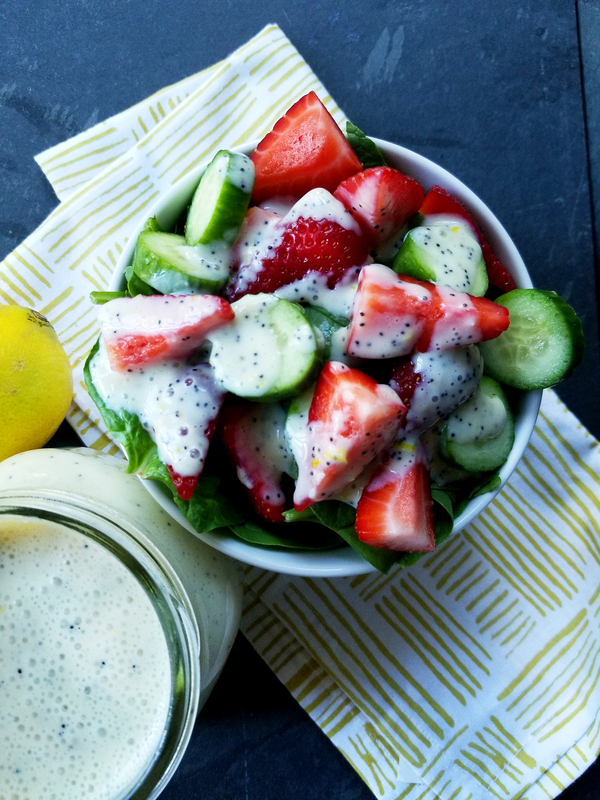 The Brianna’s dressing that he is referring to is a deliciously creamy and super sweet poppy seed dressing that with make any salad or fruit taste like candy, because it is mostly sugar. 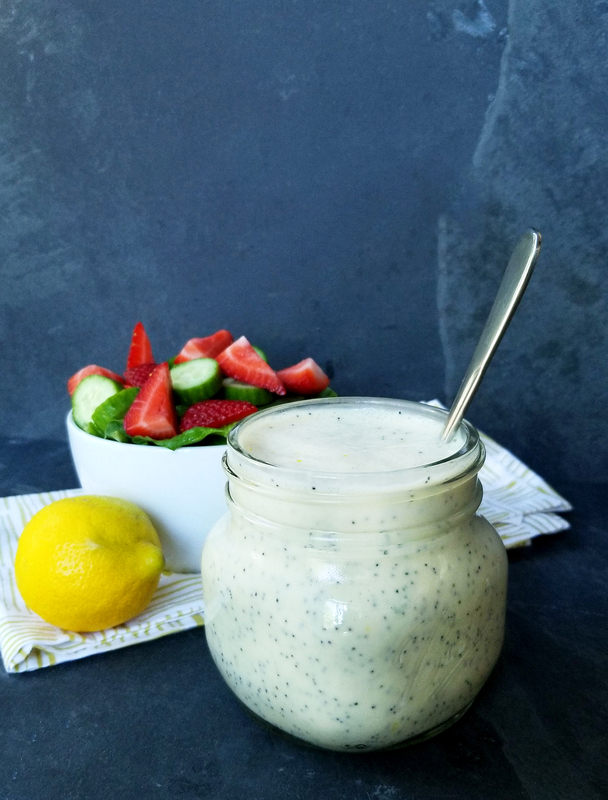 I wanted to make a a lighter and brighter version of this delicious dressing without the two main ingredients: canola oil, and cane sugar. To do this I utilized one of my favorite versitaile ingredients, silken tofu, to replicate the creamy mouthfeel of a very high-fat dressing. For sweetness I used a classic freezer staple of frozen apple juice concentrate, which gives a nice fruity and well rounded sweetness that is not as harsh as cane sugar. 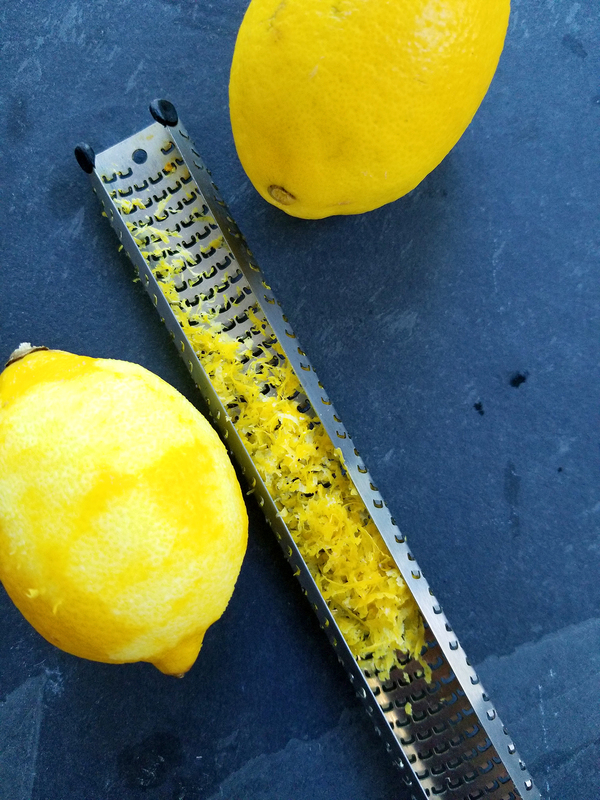 And to brighten up the dressing, rather than using a fruit vinegar like apple cider vinegar I wanted to use only lemon juice and lemon zest to really cut through the sweetness of the apple juice. The result is a beautiful, and easy low-fat dressing that’s packed with flavor and extra protein! or a topping for baked sweet potatoes! 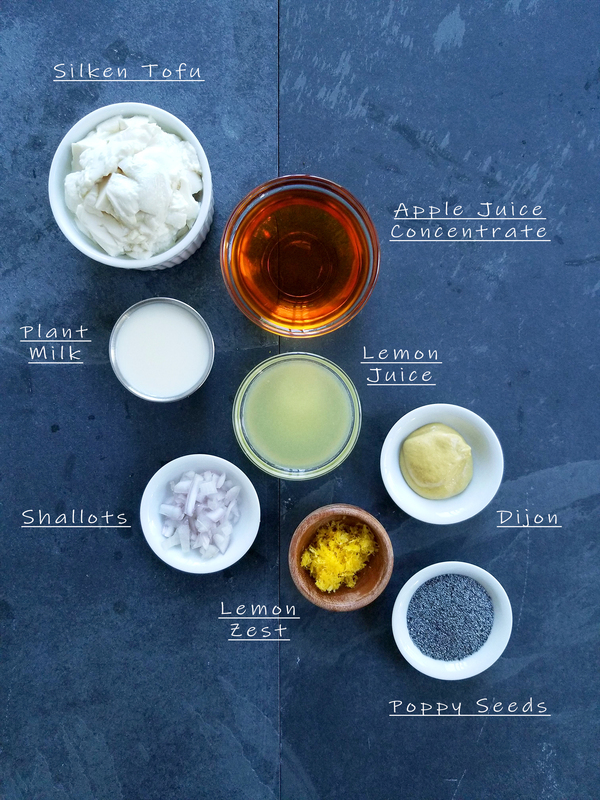 Place tofu, apple juice concentrate, lemon juice, shallot, dijon, and plant milk in a blender and blend until smooth. 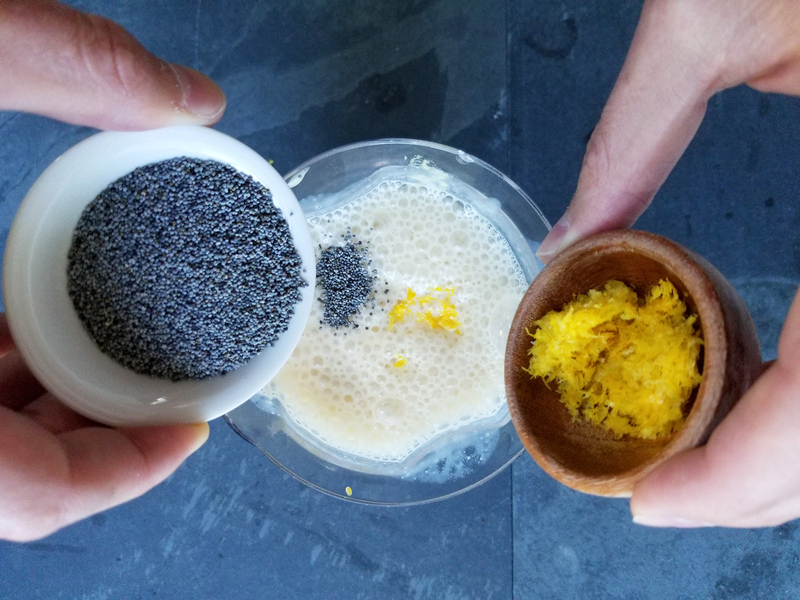 Add in the lemon zest, and poppy seeds and stir. 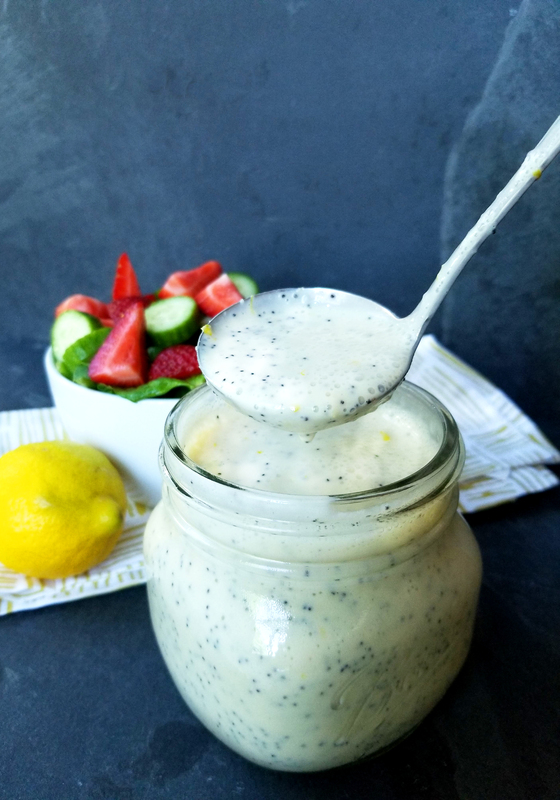 * This recipe is a mild sweet dressing, if you want more acid, feel free to add more lemon juice. Or more shallot and mustard for more zip. You can also add more tofu if you want a thicker creamier dressing.